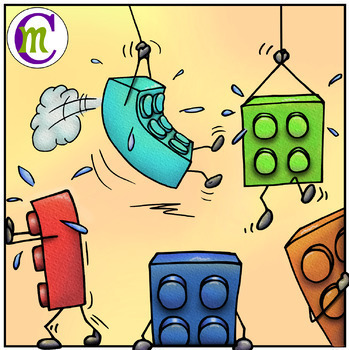 These Building Block Buddies can push, pull, and dangle, and overall just hang out to add some whimsy to your worksheets and products. Use them to draw the eye to important instructions or highlight a boxed list. There are SO MANY creative ways to use these guys! 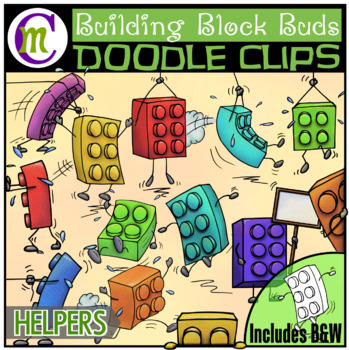 Included are 14 different buds in full textured color and 14 white-filled blacklines for a total of 28 images in this building block clipart buddy set. SEE THE PREVIEW TO VIEW ALL IMAGES INCLUDED IN THIS SET. 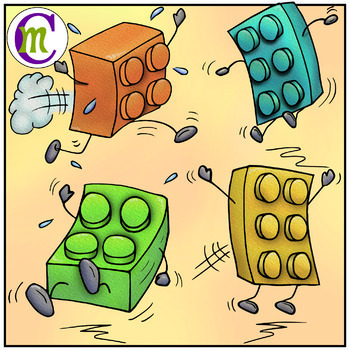 For a clipart set of the basic plastic bricks, CLICK HERE. white-filled blacklines of all images listed above. ● Commercial credit is required: A link to the Crunchymom store is required in both commercial products and freebies. A CM Logo image is included in the download file. 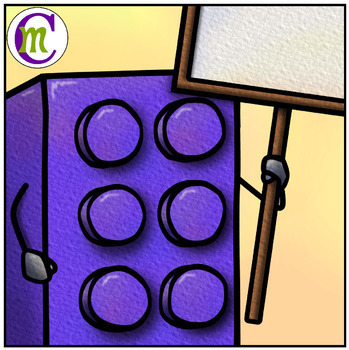 ● Blog/Website Usage: Images must be flattened and secured with other elements so they cannot be easily lifted and my CM Lego with a link to my store must be visibly displayed.